Check out the GOW3 ‘Forces of Nature’ DLC! 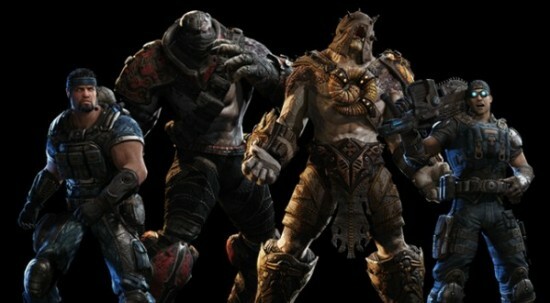 Today marks the release of the ‘Forces of Nature’ pack for Gears of War 3. It features new maps, characters from previously exclusive retailers, and the return of guardian mode. If you’ve got the Season Pass, simply download in-game, otherwise its 800 MSP ($10). "If you own Gears of War 3 Season Pass DO NOT purchase this content here as you will be charged again. This pack adds five new multiplayer maps, each featuring unique weather conditions: Aftermath (Flooding City), Artillery (Tornado), Cover (Fog), Jacinto (Rainstorm and Imulsion), and Raven Down (Snowstorm). Also included are 250 Achievement Points and four new multiplayer characters; the Savage Hunter, and new variants of Commando Dom, Mechanic Baird, and the Savage Grenadier Elite."